I have a very formalized process when conferencing where students. 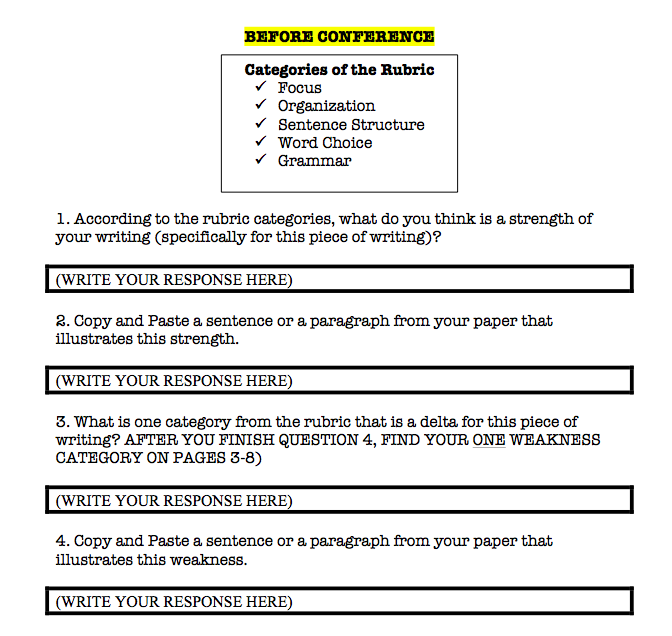 This ensures students have thought about the conference by reflecting on their piece of writing and identifying a weakness that they want to work on improving. This allows for a common language at the conference and a fair evaluation of the student’s work. To facilitate this process, there are two key documents I use throughout the year. The first is a conference workbook that students complete before they attend their conference. I have conferences scheduled in advance so students know when to complete the conferencing workbook. In the past, I’ve had students complete the Conference Workbook on computers, which is reflected in the format of the document. However, you can adapt this to also complete in hard copy. 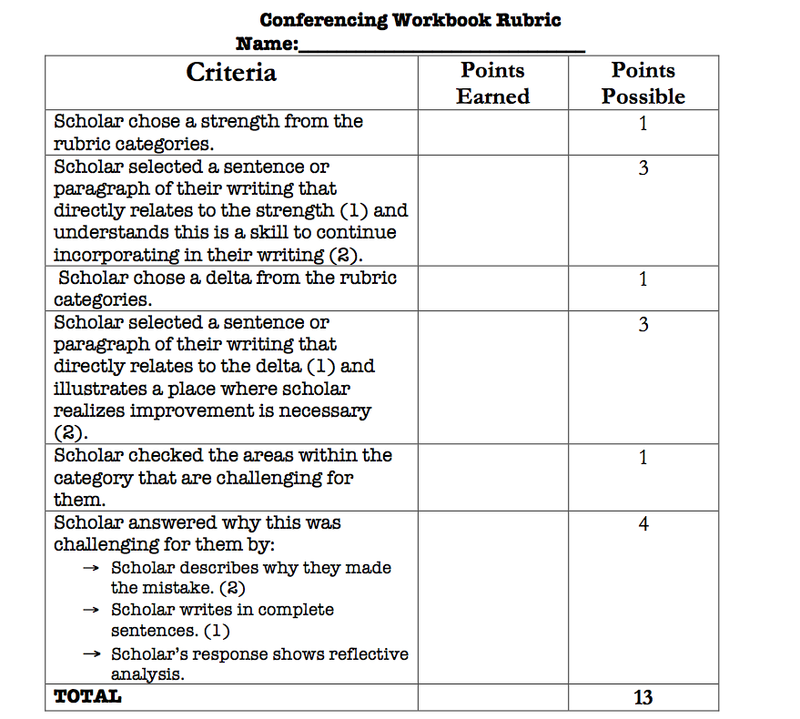 The second key document is the conference workbook rubric for evaluating both the conference workbook and the conference itself. I think it’s important to evaluate the student’s reflection of their writing and the conference to ensure students are prepared and are eager to stay focused on their writing. 1 Minute Teacher: Something from the story that sticks like glue. Student: Describes the strength they wrote about in their conferencing workbook. 1 Minute S: Describes the weakness they selected using evidence from their writing. 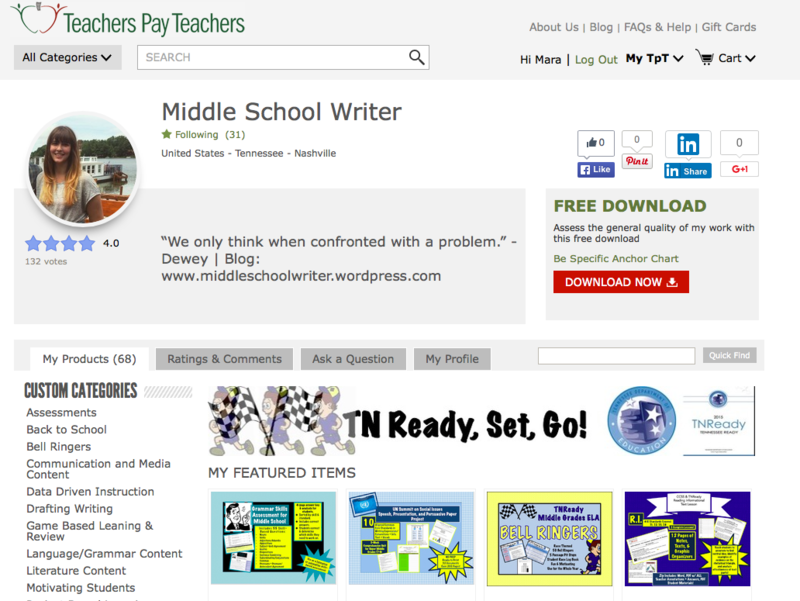 3 Minutes Teacher: Shows student the area s/he believes needs most improvement on Conference Workbook. Shows student one example in the student’s writing that is a delta. Student brainstorms how they might change this aspect of their writing. Teacher describes specific, concrete ways the student could tackle this delta. Teacher ends by stating one more strength from the story. Student uses the appropriate Resource Binder Page to complete revisions. Step 1: Pull notes from Resource Binder. Step 2: Answer 2 reflection questions. Step 3: Implement changes in current draft.